FEED Projects is better known for feeding the world’s hungry children, but its latest endeavor casts a gimlet eye at a food system much closer to home. Meet FEED U.S.A., a new campaign that tackles American school nutrition, one bag at a time, with a little help from the folks at Gap. 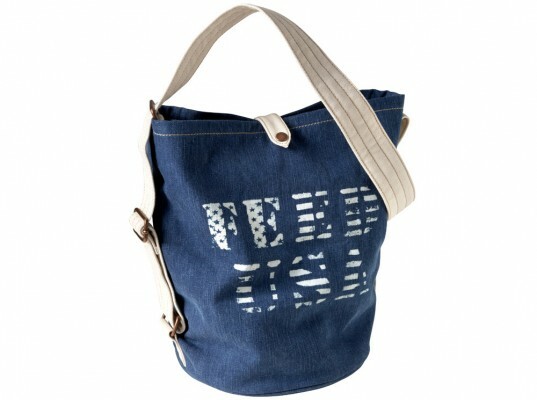 Co-designed by the popular U.S. retailer, the trio of bags (one canvas tote and two denim buckets) will make its debut at the Gap x FEED U.S.A. Pop-Up Shop on Friday during Fashion’s Night Out. Like the rest of FEED’s altruistic carryalls, every purchase includes a do-gooding component: For every FEED U.S.A. bag sold, $5 will go to bringing healthful school meals and better nutrition education to kids nationwide. Because each school faces its own unique challenges, where your money goes is completely up to you. Visit the FEED Foundation website to browse a list of classroom requests from public-school teachers throughout the country. When you’ve found a project you wish to support, whether it’s a new salad bar, in-class cooking kits, or field trips to a local, organic farms, simply enter the 8-digit code on your purchase’s hangtag to “redeem” it. Because each school faces its own unique challenges, where your money goes is completely up to you. Once a project reaches its funding goal, DonorsChoose.org will send the necessary materials to the classroom in question, as well as deliver thank-you notes and photos from grateful students to your in-box. The bags retail between $29.50 to $39.50 and will be available exclusively at Gap stores in the United States. FEED Projects is better known for feeding the world's hungry children, but its latest endeavor casts a gimlet eye at a food system much closer to home. Meet FEED U.S.A., a new campaign that tackles American school nutrition, one bag at a time, with a little help from the folks at Gap. Co-designed by the popular U.S. retailer, the trio of bags (one canvas tote and two denim buckets) will make its debut at the Gap x FEED U.S.A. Pop-Up Shop on Friday during Fashion's Night Out. 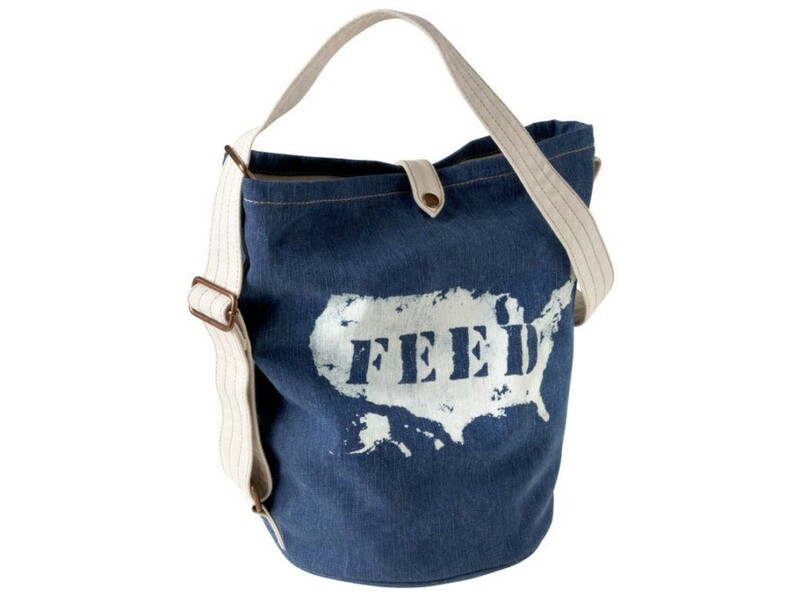 Like the rest of FEED's altruistic carryalls, every purchase includes a do-gooding component: For every FEED U.S.A. bag sold, $5 will go to bringing healthful school meals and better nutrition education to kids nationwide.